So as it turns out, it’s incredibly simple to move to another country. I arrived in Prague on a Friday. I had a job interview on Monday and an offer by dinnertime. I had a second interview that Thursday and yet another job offer before even leaving the office. So there’s only one thing missing: a long-term visa to legally live and work in the Czech Republic. There are two ways to get into the Czech Republic: the first way is to get sponsored by an employer. This requires you to sign an employment contract for a specific amount of time and apply for an employee card which is tied to that employer. This card gives you the ability to live and work in the country for as long as you are employed by that company. The second way, the route that I am pursuing, is obtaining a business license and a long-term visa. This allows you to work as a freelancer for a variety of companies and it is valid for one year, with the ability to renew each year. As an English teacher, most of the work available here is on a contract basis and not full-time, which makes this the default option for me. Though another benefit is that you don’t have to hold a full-time job if you don’t want to. You can live here and work remotely in the US. Or you can live here and blow your savings on Czech beer and trdelnik. Whatever floats your boat. 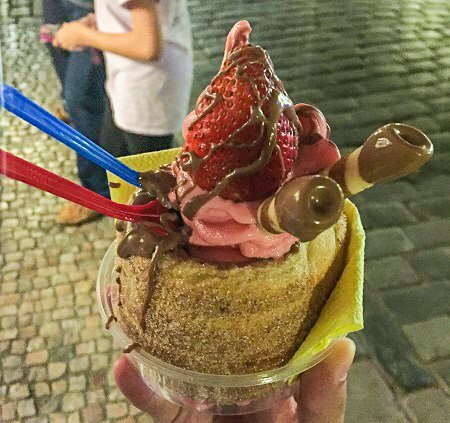 Actually, whether you’re working in Prague or not, you should be having a lot of trdelnik. A signed affidavit by your landlord certifying that you have a place to live in Prague. A signed letter from the landlord consenting to use of that address as a business. Though I don’t intend to give English lessons from my apartment, this is still a requirement as a freelancer. 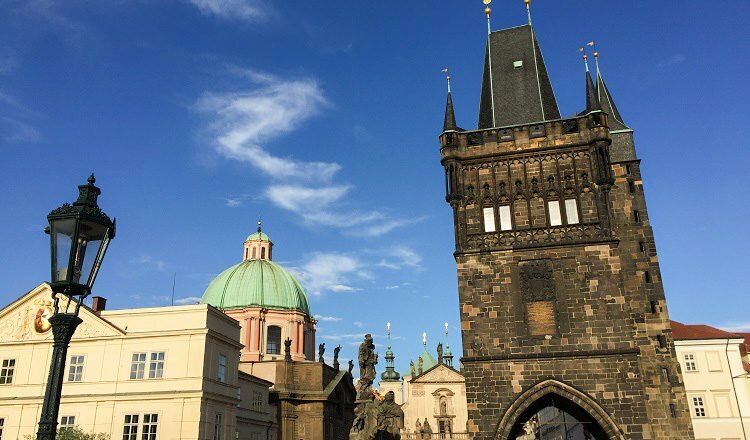 An affidavit signed in front of a notary at the American Embassy in Prague certifying that you have never been charged with a felony in the United States and that you are eligible to apply for a business license in the Czech Republic. Another affidavit certifying you have never committed a crime that might prevent you from entering the Czech Republic. A bank letter, which must be translated, indicating that you have sufficient funds to support yourself. What they consider sufficient funds for one year is $6,000. A letter of intent to hire from a language school (or several) in Prague, which I don’t believe is necessary but helps the process along. All of these documents have to be original, including the bank letter, which can take a few days to obtain since you’ll have to have it mailed to you in the Czech Republic. The good thing is that all the other forms are basically signatures. The biggest hassle is the affidavit from the U.S. Embassy, but as it turns out that also was not much of a hassle. You make an appointment online, go at your scheduled time, and ask them for the proper form. After you’ve filled it out and paid your fee for the service ($50), you are sworn to the statement on the affidavit and you sign the document. The process took all of 15 minutes including the security clearance to enter the building. And it was nice to talk to another American for a few minutes. Once you have all the forms and signatures, you need to apply for the visa in person at the embassy in Berlin. This is probably because as part of the Schengen zone, a Czech Republic visa gives you access to move about freely throughout the EU. This also requires an appointment, but unfortunately not one that is easy to obtain. They are booked at least a month in advance. After you get an appointment and you’ve applied, you have a month or two of processing time and your visa will be ready to be picked up from the embassy. Seems pretty straightforward right? It is. The only problem is… time. I’ve been in the Schengen area for almost a month and a half, which leaves me another month and a half to stay legally before I begin to overstay my 90-day tourist visa. Getting caught illegally carries the risk of a heavy fine, deportation, or a temporary or permanent ban from the entire Schengen area. Risk it and live as a fugitive immigrant in Prague until my visa is approved, hoping that no one looks at my passport too closely. I haven’t decided what I intend to do, and if I had, I’m not sure I would publicize it on my blog. But there’s a good chance that in a few months I’ll either be writing about how to successfully overstay your visa in Europe or how I got deported back to the United States. Both of those sound like really great stories, so for the moment, I’m not all that worried about it. I can’t wait to read the folow up to this post!